With this quote Jim Goldstein introduced his Buying Prints from Your Favorite Photographers project. 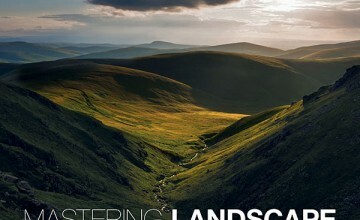 Basically, Jim’s purpose is to have photography fans acquiring and admiring the work of photographers not through a computer screen, but holding the final print. And let me tell you, the experience cannot be compared. 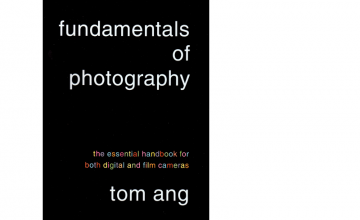 After upgrading cameras and having bought some other equipment recently, this project could not have come at a worse time for me, financially speaking. 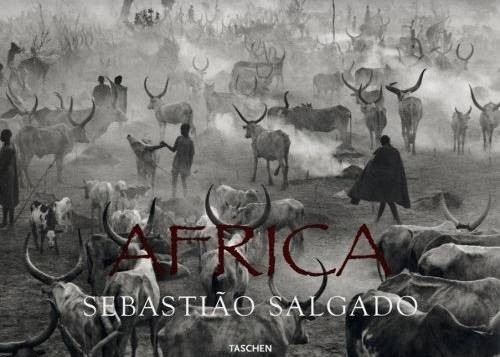 So, I went for the next best thing after a fine art print and got a book from a photographer whose work I’ve been following for years: SebastiÃ£o Salgado. Salgado is a Brazilian-born photographer (or photojournalist if you prefer) that started as an economist for the International Coffee Organization. During his time in Africa on assignment for the ICO, he started documenting his contact with the local populations, all the problems but also all the life inside those people. 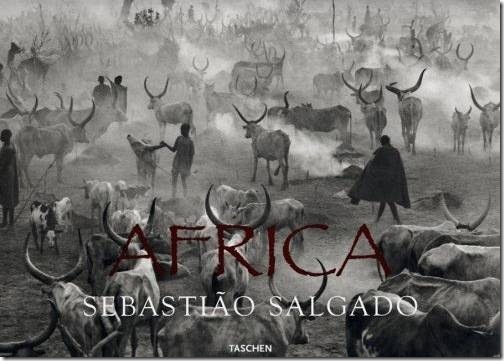 In “Africa”, Salgado goes back to his roots and compiles work from over 30 years in the continent. The book is 345 pages long, filled with more than 300 black and white photos and spiced up by some writings by the Mozambican author Mia Couto (at least in the edition I have). His photography style that translates into high-contrast black and white photos, highly enriched by grain texture, or his mastery in dodging and burning that so much enhance his work, is something that you can’t admire on a computer screen, and it’s one of the reasons I wanted to bring his work to Jim’s project. I’m finding myself spending incredible amounts of time looking at each of his images, being drawn to them, being mesmerized and going back for more. I can’t frame and hang the book on my wall, but that’s for the better, for I would not know in which page to leave it open. If you want a fantastic coffee-table book by a living Master, that is much more than just a collection of nice images and if you specially enjoy black and white photography, then Africa is for you. I think Jim’s idea for a project of this nature was fantastic and it’s a shame that not so many people participated. If you’re a photographer and have learned something by admiring other people’s work, you’ll see the true value of such a project. Now, as for your own prints, looking at your work in paper is a must. Only then you can truly appreciate what you’re generating. Deciding on “normal” prints or going for fine art prints it’s up to you and your budget, but definitely go for it and have some prints made. It’s worth it.